Feature Article: Imhotep and Joseph are the same person. | Could Joseph and Imhotep have been the same person? This article looks at the person of Joseph, son of Jacob, in the Bible, and whether or not there is any non-Biblical Egyptian historical or archeological evidence of his existence. Joseph bought up all the land for Pharaoh by selling the grain he stored during the seven years that preceded the famine  ; a feat that could only have been performed once, early in Egypt’s history, and explains how the Pharaohs became so powerful and able to built the pyramids. If this “modern alignment” of the Egyptian dynasties is correct, it is highly likely that Joseph and Imhotep were the same person      and Egyptian History would be consistent with the Bible. If it can be generally accepted that Joseph and Imhotep were the same person, this would give historians an anchor in history in order to further correlate the history of Egypt, Israel and Mesopotamia. After the Flood  and the dispersion of Babel  , people spread out over all the Earth. He had Ishmael (Ishmaelites) to Hagar, his wife’s maid servant. Ishmael became the Patriach of the Islamic religion. In the Biblical account, (Genesis 37-50) Joseph was the first born Son of Rachael (Jacob’s second wife). Jacob (Israel) favored Joseph over his other children. Joseph had a dream that one day he would rule over his brothers. His brothers became jealous of him and so sold him to slave traders who took him to Egypt. He was subsequently sold to Potiphar in Egypt as a slave and was subsequently wrongfuly imprisoned. It was in prison where he came to the attention of Pharaoh through his cupbearer who informed Pharaoh of Joseph’s ability to interpret dreams by the power of God. Pharaoh needed counsel about his own dreams and was not able to find anybody from his own kingdom to help. Joseph served the Pharaohs from the age of thirty. He died at the age of 110 years of age and was given a Royal Egyptian burial. 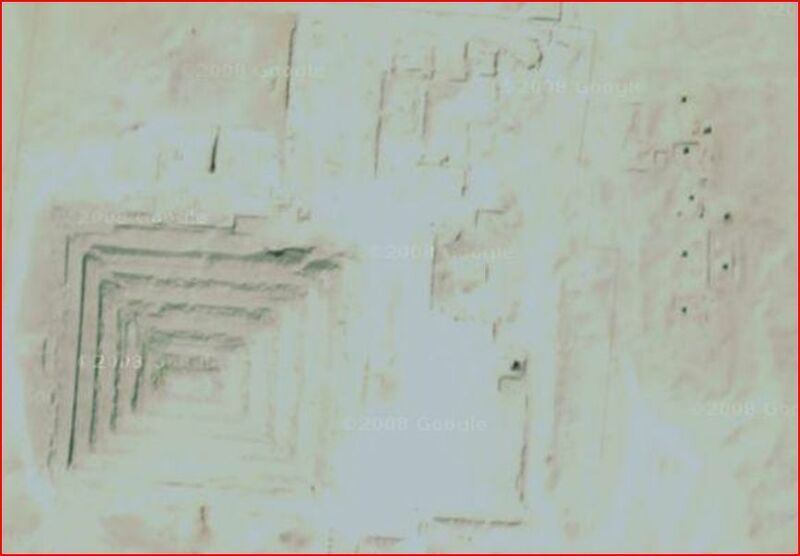 It is quite possible that he may have been involved with the design of the first and maybe the second pyramid. With a list of accomplishments like this, it would be hard to conceive that Joseph would not be mentioned in Egyptian heiroglyphics or memorialized some other way. Various teams of archaeologist have used a number of different dating methods to estimate how old a particular artifact is. For example, the type of pottery that is predominant in a layer can be used to date the layer. An increasing number of historians are now calling into question the dates of Egyptian dynasties. In particular, Sweeney     , Velikovski    , Fry            , Reilly     Ashton & Down  . Using their revised dating system, the historical records of Israel and Egypt fit together much better and it is possible to identify likely correlates and contemporaries of important Biblical Characters. Conventional wisdom which has been very reliant on dating methods has been unable to find any evidence that the Patriarchs of Israel lived in Egypt and have not found any possible candidates for Joseph because they are looking for evidence of him in the Hyksos dynasty which is estimated to have been around 1700BC according to conventional chronology. As a result, conventional wisdom states that Joseph and other Biblical figures were minor figures in Egypt that were not note worthy enough to have been memorialized in the heiroglyphic records and other monuments that have been uncovered. Modern thinking using the revised chronology results in much clearer picture with the history Israel and Egypt lining up and matching archaeological records. Abraham is considered to be a contemporary of Menes. Imhotep is considered to be the Joseph of the Bible and Djoser is considered to be the Pharaoh that he served       . Why is it so hard to piece together Egyptian records? The Egyptians suffered great losses at the time of the Exodus and may not have wanted to remember what Joseph and his family had achieved during their 400 year stay in Egypt. This may be one reason why it is very difficult to find historical information about the exploits of the Israelites in Egypt. This may also been the reason that the second pyramid designed by Imhotep was not completed. Another reason why it is difficult to find historical information is because much of it was lost or destroyed by various seiges, conquests, natural distasters and even erosion over the centuries. Egyptian records are written as qlyphs (pictures) in stone. They have a number of limitations – you need to know ‘the code’ ie what they mean. Pronunciation is not indicated as with Greek and English and there is no time stamp. The art of interpreting them (heiroglyphics)has been somewhat lost. Imhotep is attributed with being the first person in history to be an acting physician, he was also the first architect, he was a poet and also a philosopher. After his death he was given the status of a deity, he was only one of a very few commoners to ever be given that kind of an honor. Pharaoh renamed Joseph ‘Zapeneth Peneah’  which means “master of the school of learning”  or “Man to whom secrets are revealed”  . The ‘correct alignment’ of Israel’s and Egypt’s history will allow contemporary fragments of information to be linked together to build up a clear picture of ancient history. Combining the records of Egypt, Israel and Mesopotamia will help to fill in the gaps in each nations’ record. 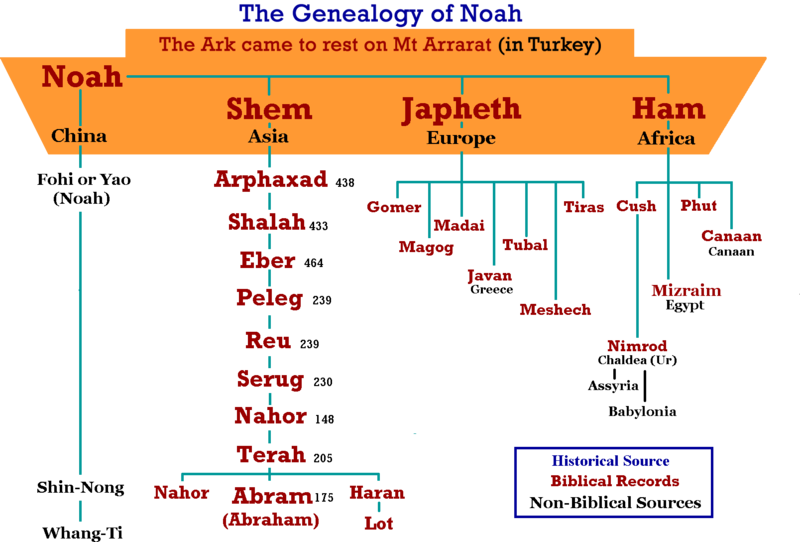 This ‘Modern Alignment’ of the Dynasties fits the Biblical account and also the records of Mesopotamia. The ‘Modern Alignment’ of the Dynasties provides the answers to the major objection to Joseph and Imhotep being the same person (namely the mismatching dates) and by the same token makes it highly likely that Pharaoh Djoser was the Pharaoh of Joseph. 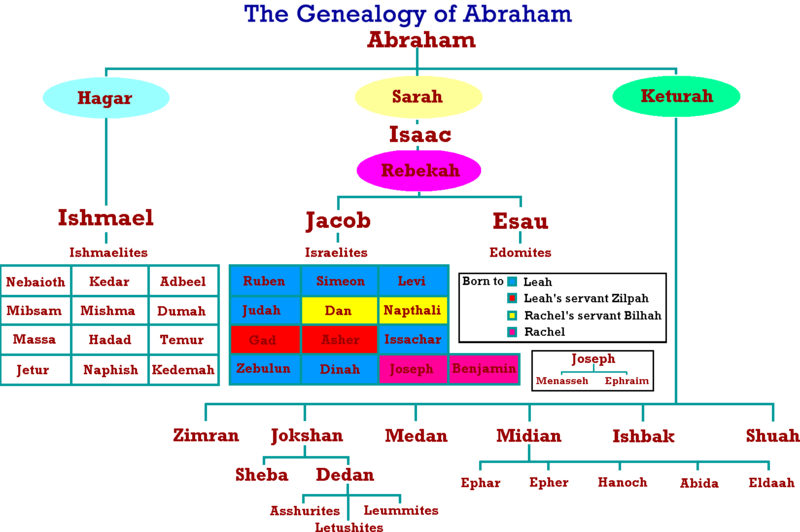 While Sweeney points out that Abraham was a contemporary of Menes who were patriarchs of their respective civilizations some time after a catestrophic destruction  , he has probably over corrected the dates which are far too short even for Biblical events. What implications does this have for Egyptian History? If the ‘modern alignment’ of the Egyptian Dynasties is correct, Joseph can be identified with Imhotep and Egyptian history will be consistent with the Bible. Joseph came three generations after Abraham and was contemporary with Djoser (1900BC) . After his death he was deified because of his achievements. As King Netjeriket of the third Egyptian dynasty was also known by the name ‘Pharaoh Djoser’, it is possible that this name means ‘Pharaoh of Joseph’. It is unlikely that Joseph was some inconspicuous person in the 18th dynasty of Hyksos as is commonly held by people who adhere to the ‘conventional alignment’ of Egyptian dynasties. What’s more, if the ‘modern alignment’ is correct, the Hebrew influence of Egyptian culture will be re-established. The first pyramid would have been designed by a Hebrew. The Hebrew God can be credited for saving Egypt from a seven year famine and giving the Pharaoh’s their power, wealth and the means to build the other pyramids. The designer of the first pyramid will, once again, be seen to be a servant of the God of Abraham, Issac and Jacob, even though the pyramids later became objects of pagan worship and Imhotep was deified long after his death by the Greeks. When the Israelites left Egypt, Joseph’s association with the God of Abraham, Isaac and Jacob was forgotten and the pyramids became symbols of pagan gods. With the aid of hind sight it can be seen how the designer of the first pyramid, the savior of the Egyptian people and the man responsible for the Pharaoh’s power, known as Imhotep, would be deified some 1400 years after his death once his connection with the God of Abraham, Issac and Jacob had been lost and forgotten. The first pyramids, which were made of cut limestone, were built by the Egyptian people who had sold their land to Pharaoh and become his subjects. What implications does this have for Israel and Christianity? If Joseph was Imhotep, then Bible History is consistent with Egyptian history. This will mean that there is archaeological evidence that the Patriarchs of Israel lived in Egypt. Archaeological evidence for Israel in Arabia ⁄ Midian (Jabel el Lawz) in combination with the above would corroborate the Biblical account of the Exodus. What implications does this have for Literature, Medicine and Architecture? There is such a strong match between the profile of Joseph and Imhotep that many historians, theologians and archaeologists have suggested that they are one in the same person. 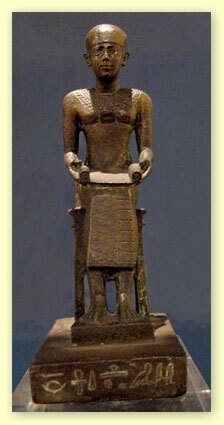 Imhotep was the High Priest of Heliopolis. Jospeh married the daughter of the high priest of On (the capital of Heliopolis)! The single most compelling evidence against this, however, has been the considerable discrepancy between the estimated dates of their existance by as much as 1000 years! Egyptian records are far from complete. They are not chronological and the exact way that fragments fit together is by no means certain. In the Last 50 years, historians have realized that several Egyptian dynasties have been counted twice and some ran in parallel. The result is that Egyptian history can be substantially contracted, therefore eliminating the discrepancy in the estimated dates of Joseph and Imhotep. This modern understanding of the Egyptian dynasties means that Joseph almost certainly was Imhotep and Egyptian History is consistent with the Bible. David Down’s revised Egyptian Chronology. Biblical dates consistent with a long sojourn. 4. NationMaster.com, “Statemaster – Encyclopedia: Imhotep,” , statemaster.com, 2009. 5. M. Wyatt, “Joseph in ancient Egyptian history,” , http://wyattmuseum.com, 1994. 6. M. Millmore, “The Step Pyramid at Saqqara,” , http://www.eyelid.co.uk, 2008. 7. N. G. Society, “The Step Pyramid of Djoser. Egypt’s first pyramid.,” http://www.nationalgeographic.com/pyramids, 2009. 8. A. Kolom, “Is biblical Joseph the Imhotep of Egypt (famine-savior)? (Extra-biblical proof! ),” , 2009. 9. E. Sweeney, “Were Joseph and Imhotep of Egypt The same man?,” THE GENESIS OF ISRAEL AND EGYPT, B. E. Sweeny (Editor), 2001. 10. B. Rhodes, “Joseph and Imhotep,” , http://the-red-thread.net/, 2009. 12. D. Fry, “Hebrew sages of ancient Egypt – time calibrators,” Hebrew Sages of Ancient Egypt II, 2004. 13. J. Reilly, “Displaced dynasties,” Dysplaced Dynasties, 2009. 14. G. Byers, “Israel in Egypt,” , http://www.biblearchaeology.org, 2008. 16. D. Fry, “Hebrew sages of ancient Egypt -E gypt’s first dynasty,” 2009. 17. J. Reilly, “The exodus and beyond chapter 3: Joseph & Moses,” The Exodus and Beyond, 2009. 19. E. Sweeney, The pyramid age, ages in alignment series, Algora Publishing, 2007. 20. D. Fry, “Hebrew sages of ancient Egypt – needed changes in modern records,” 2009. 22. J. Reilly, “The Exodus and beyond chapter 1: The Berlin chronology of the second millennium bc – limitations of the Berlin chronology,” The Exodus and Beyond, 2009. 23. R. Wyatt, “Joseph was Imhotep of Egypt,” , Wyatt Archaelogical Research, 1994. 45. H. Bible—”Joseph reassures his brothers afer Jacob’s death,” Genesis 50:15-21, . 47. H. Bible—”The Exodus,” Exodus 12:31-42, . 48. Empire of Thebes or Ages In chaos revisited (ages in alignment), Algora Publishing, 2006. 49. I. Velikovski, Worlds in collision, London and New York, 1950. 50. I. Velikovski—Ages in chaos, London and New York, 1953. 51. I. Velikovski—Earth in upheaval, 1956. 52. D. Fry, “Hebrew sages of ancient Egypt II,” 2009. 53. D. Fry—“Hebrew sages of ancient Egypt II The birth of Egypt,” Hebrew Sages of Ancient Egypt II, 2004. 54. D. Fry—“Hebrew sages of ancient Egypt Joseph found in Egyptian records,” 2004. 55. D. Fry—“Hebrew sages of ancient Egypt the pyramid age Joseph’s inspiration,” 2009. 56. D. Fry—“Hebrew sages of ancient Egypt – The great pyramid,” 2009. 57. D. Fry—“Hebrew sages of ancient Egypt – Egypts weather changes,” Hebrew Sages of Ancient Egypt, 2009. 58. D. Fry—“Hebrew sages of ancient Egypt – Moses found in Egyptian records,” 2009. 59. D. Fry—“Hebrew sages of ancient Egypt -the Exodus disaster in Egyptian records. The search.,” 2009. 60. J. Reilly—”The Exodus and beyond chapter 2: The Patriarchal Age,” The Exodus and Beyond, 2009. 64. C. Miclaus, “Imhotep – one of the greatest personalities of Egypt,” , 2007. 66. “From the start of the 12th dynasty to the 18th” , 2009. 67. L. Moeller, The case for the Exodus, . 71. J. Dunn, “Imhotep, doctor, architect, high priest, scribe and vizier to king Djoser ,” , http://www.touregypt.net, 1999. 72. Britannica, “Imhotep,” , http://www.britannica.com, 2009. 73. R. Strachan, “Imhotep,” , http://www.mnsu.edu/emuseum/, 2005. 74. K. Matthews, “Imhotep,” , http://www.greatbuildings.com, 2008. 75. Wikipedia, “Imhotep,” , http://en.wikipedia.org, 2009. The Architect of the Step Pyramid Complex at Saqqara, Egypt. « Could Joseph and Imhotep have been the same person? ASTONISHING!!! I’ve noted many facts in the Bible consistent to profane history, e.g. Moses being an egyptian priest, and a lot of architectural references such as the Temple of Jerusalen deriving from egyptian temples, but I could never thought as Imhotep was Joseph!!! Greetings from Argentina. This is very interesting and i believe that both men are the same man! This is awesome and i love the history of it all! Amazing! Hi, I was doing a little research on Joseph of the Bible and Egyptian history. I’ve read various articles that associate Joseph with Sesostris I as Mentuhotep of the 12th Dynasty instead. There is supposedly some evidence for it too, so I was wondering what you think about it and whether you think Joseph is still likely the same person as Imhotep. I’ve also read various articles that align Abraham not to Menes but to Khufu due to the texts of Josephus, the historian. Apparently, while Abraham and Sarah were in Egypt, Abraham introduced many new concepts of astronomy and arithmetic that led to the building of the Pyramid of Giza in Khufu’s time. There are many theories about who Joseph was, who was the pharaoh of the Exodus and who was the pharaoh of Moses birth and who was the pharaoh of Abraham etc. For a theory to hold, there needs to be a good character match, sufficient archaeological evidence, the discrepant chronologies need to be explained and the sequence and time frames needs to be right. There is considerable evidence to suggest that the 12th dynasty was the period when the Israelites were oppressed. The 12th dynasty pyramids had a mud brick core and a limestone veneer. There were seven such pyramids constructed over about 200 years. There was an exodus in the 13th dynasty and no more pyramids were constructed after this. The profiles of Amenemhet III Sobekneferu Amenemhet IV and Neferhotep and the chronology and timeframes make it very likely that they were The pharaoh of Moses Birth, the princess that adopted Moses, Moses himself and the Exodus pharaoh respectively. People have suggested vizier Mentuhotep to be Jospeh of the Bible based on a 200 yr sojourn. The Bible says that the Israelites were in Egypt for 400 years. They were able to Enjoy the projection of Joseph for the first 70 years and some time elapsed before there was a change of dynasties to a pharaoh who neither remembered Joseph and was not sympathetic to the Jews. If the long sojourn is right, then Joseph would have been about 200 years before the 12th dynasty began. The pharaohs of the 7-11 dynasties were probably Nomarches and high officials and not pharaohs at all. The only record we have of them is there name and how long they reigned. There were not even buried in pyramids. Amenemhet I who founded the 12th dynasty was the vizier of Mentuhotep IV of the 11th dynasty. Amenemhet I assassinated Mentuhotep IV and took over the whole country. It was he who had a different attitude to the Jews and made them into slaves, forcing them to make mud bricks for the 12th dynasty pyramids. The word “brought” is used in the Scripture text, but the writer has misused this word where the word “bought” is intended. Joseph “bought” up all the land for Pharaoh by selling the grain he stored. … The people “brought” their livestock to Joseph… Joseph “bought” their livesstock with the grain. Statues of Imhotep in the Louvre | Could Joseph and Imhotep have been the same person?